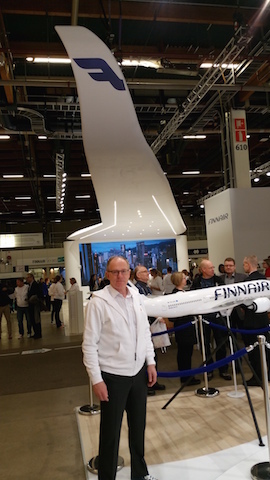 HELSINKI - The MATKA Nordic Travel Fair, just ended in Helsinki, together with the Caravan fair introduced travel destinations from Finland and around the world and motor homes and caravans to over 68,000 visitors. According to a customer survey done by TNS Gallup, 32 % will spend more money on travelling this year when compared to the previous year. Also 49 % estimated that the money spent on travelling will be approximately the same as last year. Two thirds of the respondents stated that their visit to the MATKA Fair will have an impact on their travel plans. 69 % came to the event to acquaint themselves with European destinations and other destinations nearby, 63 % wanted to get more information on domestic destinations, and 43 % sought information on destinations further away. 90 % stated that getting information on different travel destinations at the fair was important. When travelling in Finland, the respondents are interested in destinations offering experiences in the nature (44 %), different events and cultural happenings (32 %) as well as Finnish sights (31 %). Three out of four visitors also appreciated the fact that travel professionals are at the fair to answer their questions. Nearly 50 % of the respondents were looking for a destination to go to in the summer, 40 % planned to travel already this spring, and one fifth were planning trips for the following winter. The MATKA Nordic Travel Fair gave a great start for the travel year 2015. It is great to see that people are very much into travelling also this year. All fair days were very busy, stated CEO Heli Mäki-Fränti from the Association of Finnish Travel Agents (AFTA). The visitor survey was conducted by TNS Gallup. The number of respondents was 300. Some ten Italian buyers & sellers attended or exhibited at the fair, among which Expo 2015 from Milan, Lago Maggiore area, Amalfi. Expo 2015 arranged an information seminar about the coming world expo at the Italian ambassador’s Giorgio Visetti residence . Next time the MATKA Fair and the Caravan fair are held 21-24 January. 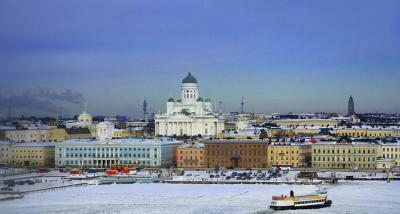 The next event held at Messukeskus Helsinki this year is the MP Motorcycle Show 30 January - 1 February.